Idealia **is created to visibly transform every aspect of skin quality, to help women reach their ideal skin, no matter their age, skin type or ethnicity. Who doesn't like glowing lit within skin? 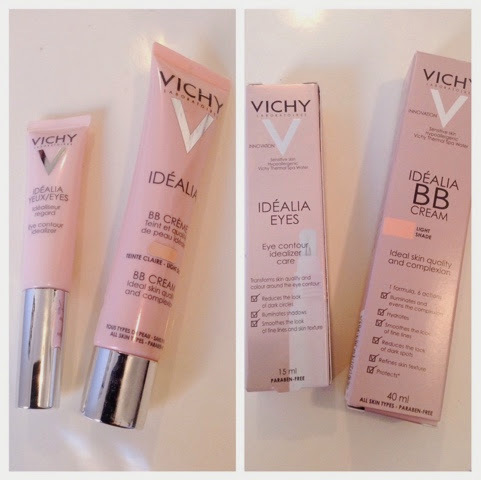 Well Vichy Idealia BB cream will give you just that. 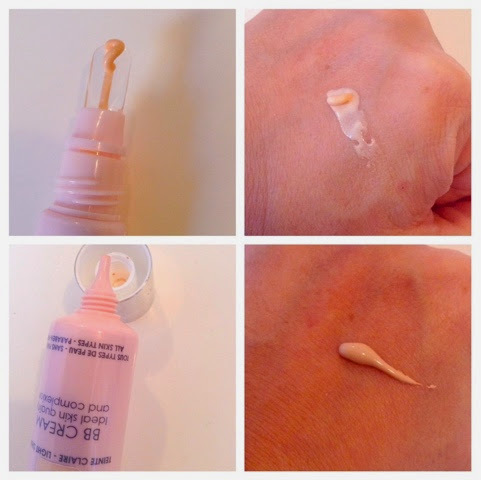 This BB cream is so hydrating, glides on smooth on your skin without any greasy or sticky feeling. So comfortable to wear and with such a natural coverage and with daily wear your skin layers will benefit with corrective pigments to instantly eliminate dull looking skin. Available in 2 shades: light and medium. IDÉALIA EYES**1 step, 3 transformations, for an ideal eye expression, instantly: Corrects dark circles, Smoothes fine lines and skin texture plus Illuminates shadows. Now, do you want instant bright eyes? 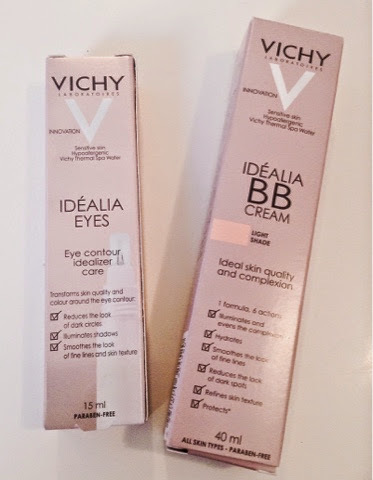 This Vichy Idealia eye cream will instantly correct the appearance of dark circles, fine lines and tired looking eyes. This formula contains blurring and illuminating properties to reduce the appearance of dark shadows and fatigue under the eyes. A very hydrating rich light pink texture that refreshes the eyes instantly and wont leave a greasy feeling. It also contains a complex of brighting ingredient thaat will help with anti inflammatory, anti pigmentation and anti aging. Also, contains caffeine to help reduce puffiness with Vitamin B3 to soothe the eyes. Enriched with soothing and fortifying Vichy Thermal Spa Water. Suitable for all skin types including sensitive eyes. Hypoallergenic, paraben-free formula, tested under dermatological and ophthalmological control.